I accelerated slowly, nervous as I headed down the street, vendors selling late breakfasts and cold drinks watching on in idle curiosity. It must be part of the daily entertainment for the people on Street Six, watching the barungs wobbling down the road as they prepare for their Siem Reap e-bike experience. Having never ridden a motorbike or scooter, although I’d been a pillion many times, I was unsure what to expect from the green e-bike. I was worried it would be too heavy and hard to steer. But with some encouragement from the store’s owner, who said: “if you can ride a bicycle, you can ride an e-bike”, I turned the ignition and accelerated down the road. The owner was hanging on to the back as I started out, like my parents did when I was about five and learning to ride a bicycle. He was shouting instructions to accelerate to about 10 kilometres an hour so I’d have better balance. It makes sense really, the slower you go on a bike, the less stable you are and an e-bike is no different. In fact, the Green e-bike website states if you can ride a bicycle it only takes a few minutes to learn to ride an e-bike. And as I increased speed down the road and got used to the brakes and the feel of the bike, I found this was the case. It is kind of a cross between a bike and a scooter after all. It has pedals, which are optional to use. So with the introduction over I headed off with a friend and her daughter to explore Siem Reap’s surrounds. 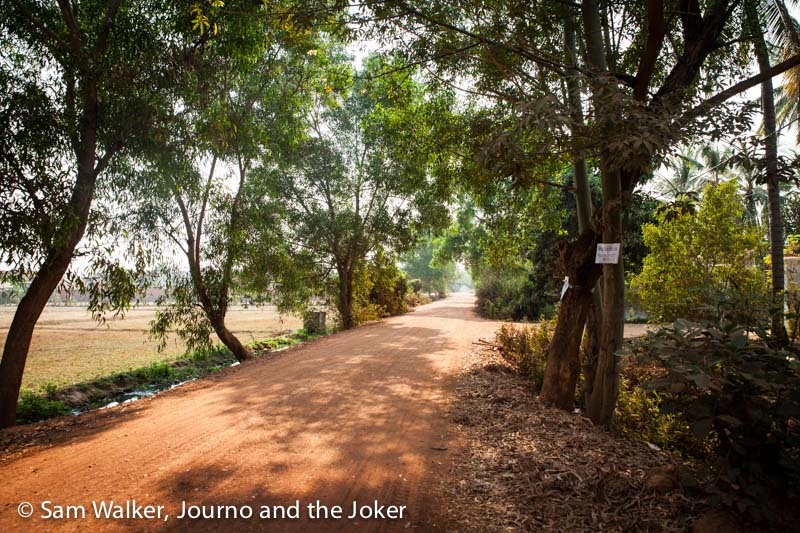 We decided to head about 12 kilometres out of town and ride to the West Baray. This man-made lake was dug by hand about 1000 years ago at the time the great Angkor temples were constructed. 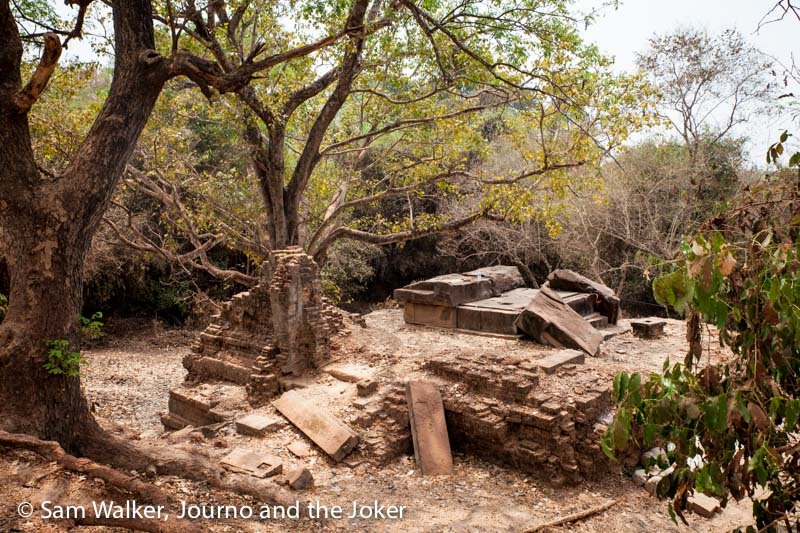 There are several theories as to the reason it was constructed but it is widely thought the baray was used for irrigation purposes. 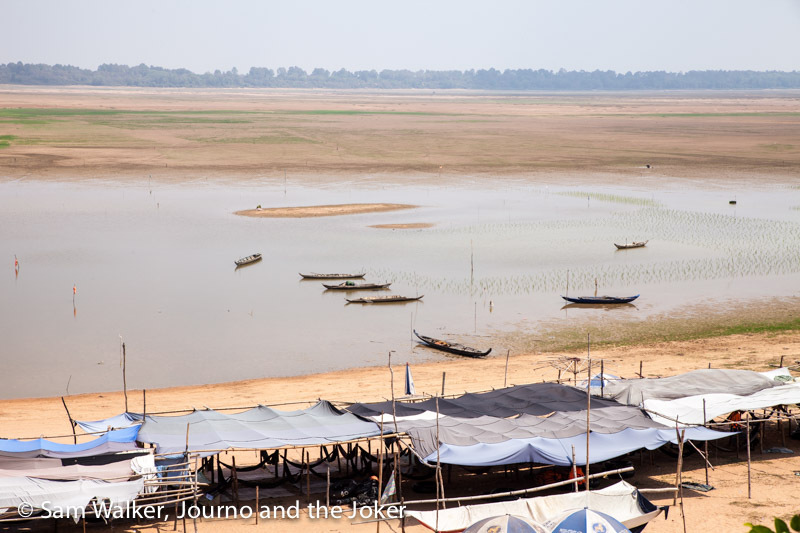 These days West Baray is a popular recreational spot for locals to visit on a hot day. They swim in the water and hang out in restaurants lining the shore, lazing in hammocks and snacking on local delights. It was March when we took off on our adventure and we were shocked at how low the water level was. When it is full water covers this area out to the tree line in the distance. With months of scorching temperatures still ahead and the wet season a long way off, it was not a good sight. It was significantly lower than the same time the previous year and was a sign of the drought that was to follow in the next few months. The temperatures on this day, like most March days, were scorching and we rapidly went through our bottles of water. So we stopped for a revitalising fresh, and very cold, coconut before heading off again. 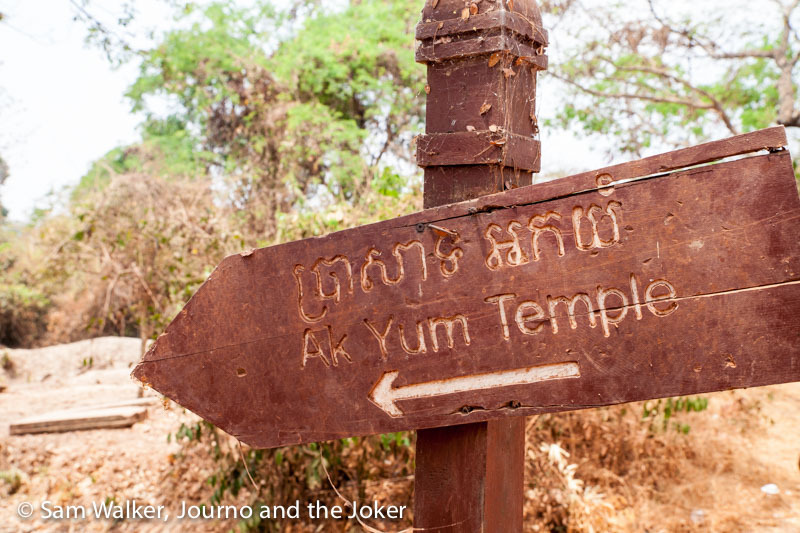 First we stopped to check out Ak Yum temple, at the West Baray, which was being excavated. It was cool to see an archaeological dig taking place but we were not welcomed and were ushered out pretty quickly. We rode through the countryside passing by pagodas and through villages, eventually ending up in one of my favourite areas – Rokar village. 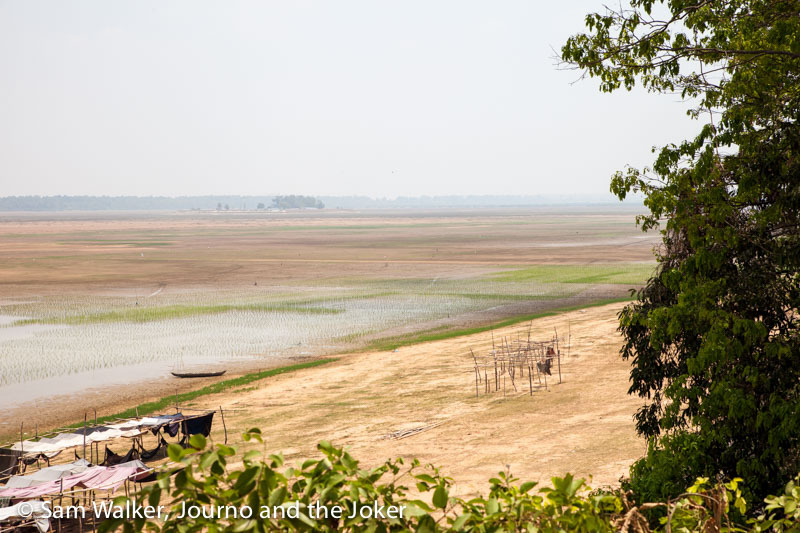 The rice fields had all been baked dry after weeks of searing temperatures reaching into the high 30s and low 40s. We were advised that if we stuck to 20km/hour, which I found to be a very comfortable speed to toodle along at and take in the sites, we should get 40 kilometres out of the e-bikes. Our battery indicator was getting low when we arrived back into Siem Reap but we made it and we had a great day out. But we had the bikes for 24 hours so we headed home and put them on chargers. The next morning I got up early and headed out in a different direction and rode through lanes and villages I hadn’t been to before. It’s a lot of fun exploring on your own and seeing what you can find down different streets and lanes. It’s affordable and good value. It gives you some freedom to explore and create your own adventures. e-bikes are very easy to get the hang of – they are a bit like an over-sized bike and not much harder to ride. Your time and distance are limited by the battery life. Around town there are a number of free charge points but if you head out into the countryside, it’s a bit more touch and go. They are not especially robust so going down rough roads can be bumpy. Siem Reap’s roads are a little chaotic, so if you are not confident on the roads you should be wary. As with renting cars and motorbikes, if you damage the bike, you will be charged for the repairs so you need to carefully note any previous scratches, dents and problems. The voltage guage was a little sensitive. It fluctuated up and down a lot and left us a bit confused as to exactly how much power we had left. And it seemed to dip precariously close to the ‘you’re running out of power’ level several times, even starting out. It is a design feature and nothing to do with the rental process but if you’re doing a trip as big as ours it can be a bit nerve-wracking. There are places popping up all over town renting out e-bikes. In Cambodia, if one person does something successfully, 50 or more others follow suit and do the same thing. We rented ours from Green e-bikes on Street Six, which runs alongside the Provincial Hospital. They supply helmets for those who don’t have their own, give instructions on how to handle the bikes and generally take good care of the customer. We had to take one passport for the group and leave it as a security deposit. The cost: $10 for 24 hours. We had the freedom to create our own adventure and do our own thing. We had the e-bike for 24 hours, which gave us the ability to maximise our experience by charging it over night and heading out again early in the morning. We did have the advantage of being locals and knowing where we wanted to go and how to get around town, although Siem Reap is small and it is not too difficult to find your way. I am always conscious of things that put people out of work and things like this definitely make it harder for the tuk tuk drivers to make a buck. That said, competition can be healthy, progress is important and it provides some more diversity to the level of experiences on offer in Siem Reap. And I love that it is a green option. If you have some extra time and you feel confident enough to tackle the roads it is definitely a fun experience and something I would do again. 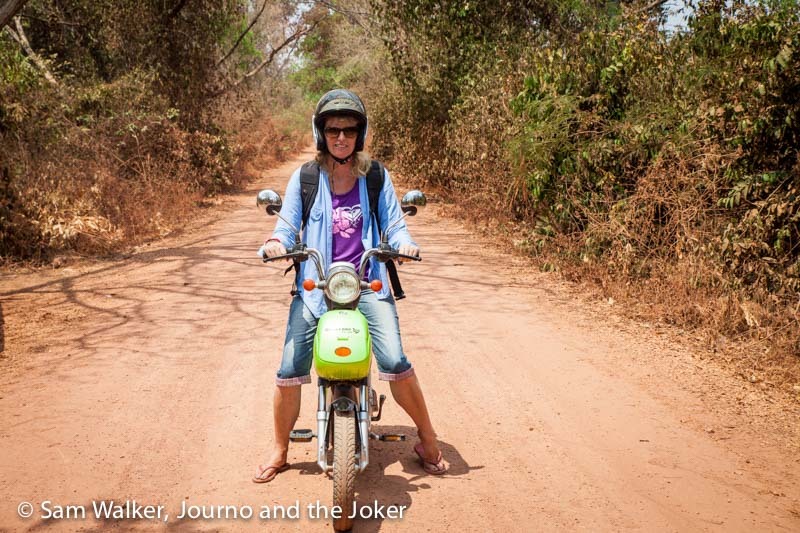 Our Siem Reap e-bike adventure was $10 well spent. Really enjoyed your post. Gave me a good feel for the countryside and for the people. Thanks for sending me the link to it! You’re welcome Susan. Thanks for visiting. Glad you enjoyed the post. Wow you are so brave! I would be a little afraid to try it! Though, I guess with encouragement, it’d be worth the go! It’s really quite easy Jenelle. And it’s a lot of fun. That looks like good fun. I am always a bit nervous about getting on a bike in Asia. 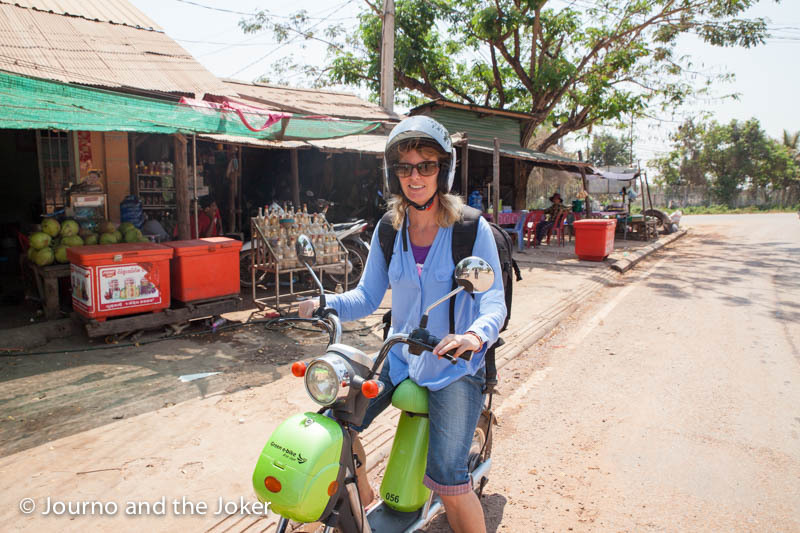 Yes Anne, it can be daunting getting on a bike in Asia. Siem Reap is not too bad and these just potter along slowly. And the bonus was that we could take them down quiet back roads where there wasn’t really much traffic. We hired a scooter in Koh Samui Thailand a few years ago and it was a cheap and effective way to see the island. But I don’t think I could ride one in a busy city! There are no road rules and so much chaos! Thanks for stopping by Kathy. Yes, we hired one in Koh Samui some years back and it was a lot of fun. To be honest, Siem Reap is not that big a city so getting around it reasonably manageable but the drivers can be a bit manic. But e-bikes are a bit of a cross between a bicycle and a scooter and pretty easy to handle. Looks like you had a really great time on your bike trip. Love the pictures. Keep up the great work and live unstoppable!